TO FILL OUT THE ANSWER SHEET. DO NOT USE BALLPOINT PENS OR PENCILS. Test in the April exam period will be held on April 17th 2019 (Wednesday) at 14.00 o`clock a.m. The final (oral) part of the exam will be held on April 19th 2019(Friday), at 08:00 o`clock a.m.
Students which plan to take test and/final oral part in this exam period are asked to confirm exam. 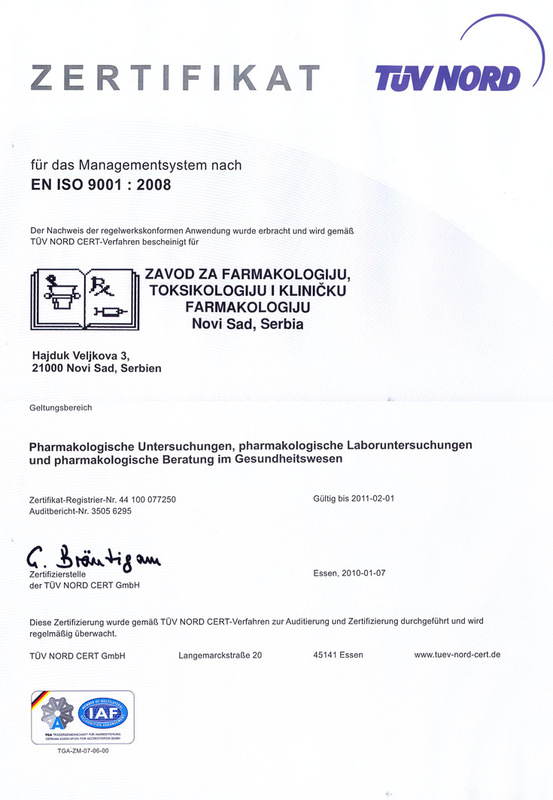 Students are obliged to confirm the exam in person at Department of Pharmacology. Confirmation for the test and the final (oral) part of the exam in April exam period can be done from April 08th 2019 (Моnday) from 08:00 o`clock a.m. until April 09th 2019 (Tuesday) at 13.00 o`clock a.m.
Students who do not confirm exam will not be able to take exam!